Living in a digitally focused world brings with it a number of serious concerns especially for patents and one of these concerns is kids interaction with technology. Too much exposure to screen time can be detrimental to kids overall health. The American Academy of Paediatrics (cited in the guide below) suggests that ‘ screen time has no positive benefits for children under the age of two, and recommends no more than one or two hours of screen time a day for older children' (p. 1). However, before you introduce your kids to technology, and especially apps, there are a number of key considerations to take into account. 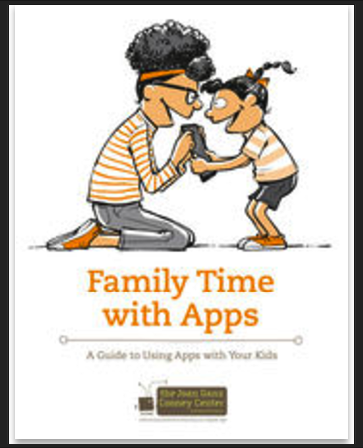 These include thinking about the purposes behind using apps with kids, their learning benefits, and determining interests of your kids and when and where apps can be used. These and several other considerations are all explained in more details in the guide we are sharing with you tonight. This book is available for free download with iBooks on your Mac or iOS device.